If you are doing a used vehicle search in Oakville from the comfort of your home, be sure to browse our Budds’ BMW online gallery. We have a wide selection of certified used BMW vehicles that have proven to satisfy Oakville residents for many years. Budds’ BMW has been serving the community of Oakville since 1973, and we are proud to say that we have many happy clients. We make bringing home a premium BMW easier with our wide inventory of pre-owned vehicles and our competitive pricing and financial plans. Or, if you’re looking to trade in your used vehicle, feel free to visit our Oakville Budds’ BMW dealership today. Our team of expert client representatives would be happy to assist you on your used vehicle search in our Oakville dealership today. Since we’ve been serving the Oakville community since 1973, we have a keen understanding of just how demanding and time consuming a used vehicle search in Oakville can be. Our team at Budds’ BMW in Oakville is here to make your car search easier and less time consuming. We love what we do here at Budds’ BMW, and we’re happy to provide you with the knowledge and tools to make the right decision for your needs. We’ve watched our community grow and expand for many years, and we have adapted to the needs and changing styles of our Oakville clients. Whether you are looking for a premium used BMW sports car, or you’re looking for something a little more family friendly, we provide reliable, luxury, and thoroughly inspected used BMW vehicles to our community members. All of our vehicles have been inspected by some of the leading engineers in the industry to ensure that our clients drive home in a safe vehicle that will provide a satisfying ride for years down the road. We provide 24-hour roadside assistance to ensure that no matter where our clients are, they know that they will be cared for. Beginning your used vehicle search in Oakville doesn’t have to be daunting! 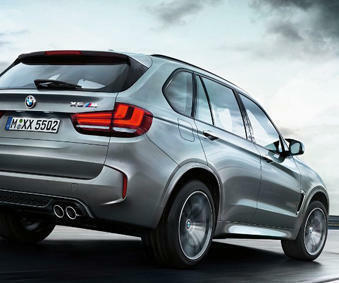 With how connected we are online, you can easily narrow down your search by using our Budds’ BMW Oakville online gallery. All of our pre-owned vehicles are listed online to help you gain an understanding of the style, make, and model you are looking for. However, we strongly encourage you to come into our Oakville dealership to test drive the luxury pre-owned BMW vehicles that you’re interested in. Doing research is an important element in finding your dream car however test driving a BMW vehicle is essential. Every vehicle drives and feels differently, so we encourage you to connect with our team at Budds’ BMW in Oakville and we can help you get behind the wheel of your dream car today.